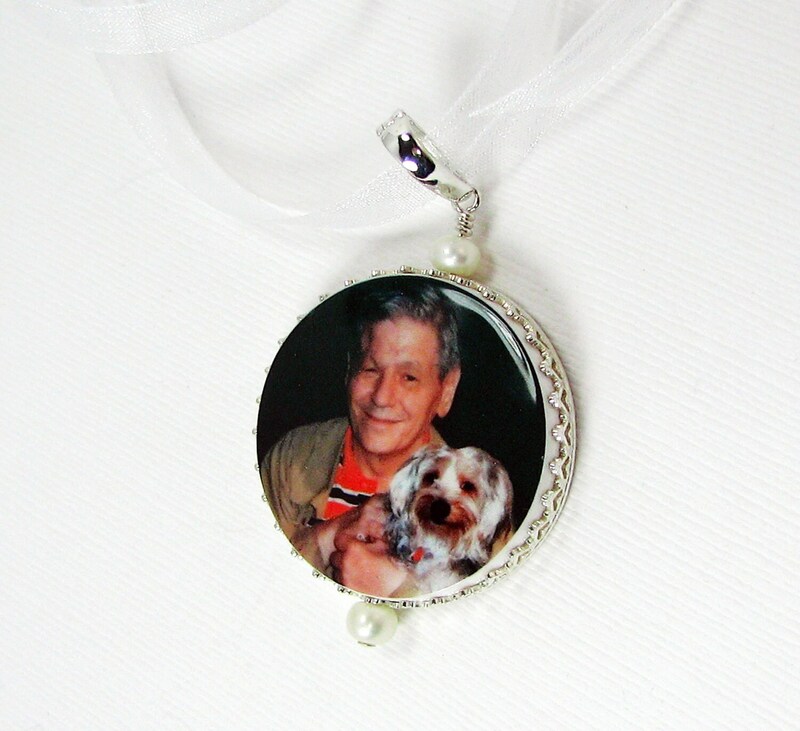 This beautiful bouquet charm is a favorite around here! The frame shown is the Princess style with sweet little hearts in the design. It's now available in this larger size, 1.25". 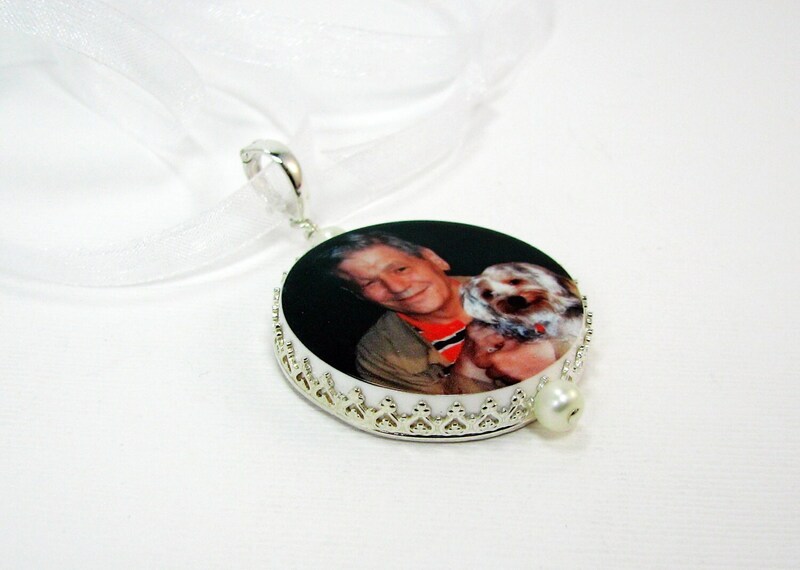 This is a round photo bouquet charm that is designed to display one photo on the main side, and a second image, or a custom designed text image for the back at no additional cost. 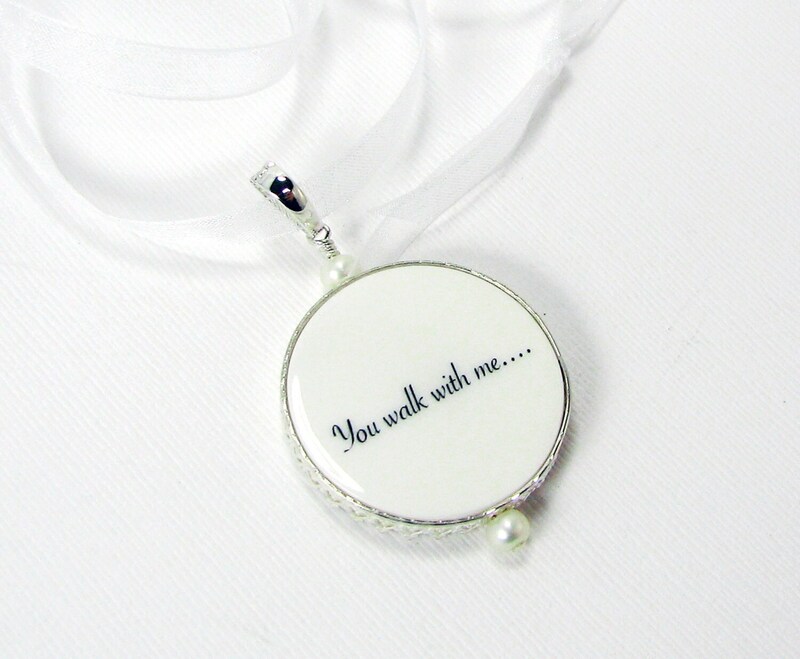 It comes with creamy white freshwater pearls on the top and bottom of the pendant, and it's on a changeable sterling bail, so that you can easily add it to your favorite necklace. * This listing is for one tile. Need more than one? 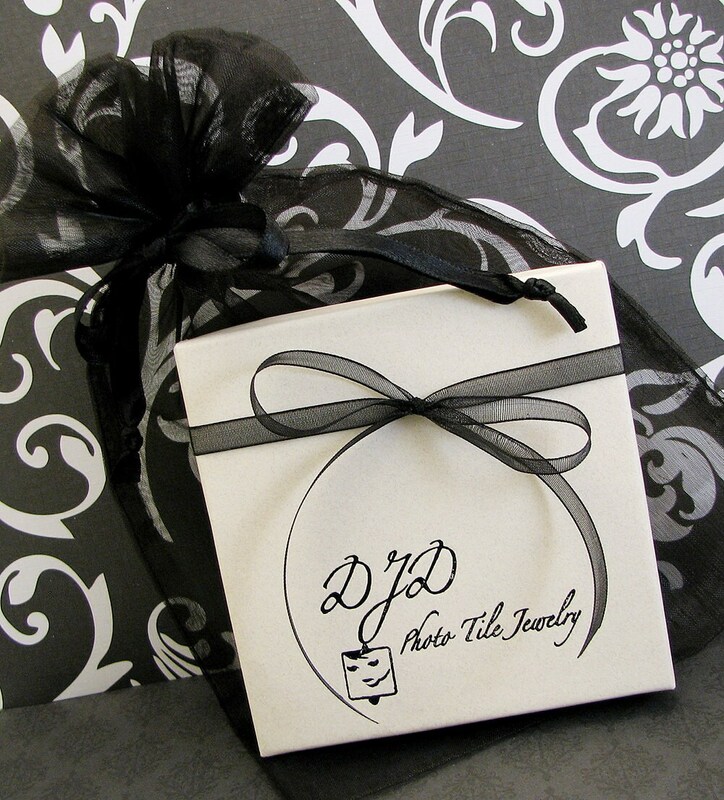 E-mail me at DJD [!at] Q.com for a quote. No order is too large.